More violence toward animals - I don't find this funny or entertaining. 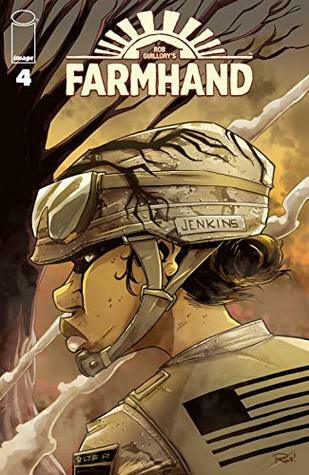 Read because it was recommended by Richard C. Meyer of the "Diversity & Comics" YouTube channel! #movetheneedle Wait, where is this going? So many twists! So many turns! So many betrayals! Who is anyone? Why is they? Where is when? This is turning into a very strange, very complicated family drama/sci-fi body-horror nightmare. Can't wait to see what the last issue of this arc has to reveal! I feel like less happened in this issue than the others, but then again, there’s been an awful lot going on lately. This issue focuses a lot of backstory and the family issues that they’ve been dealing with. And to be fair, there are a lot of family issues here. This family is not what I’d call healthy or functional, with secrets, mistrust, and pent-up anger up the wazoo. So it only makes sense that all of that would take up its own issue. I will say that I was surprised by the sister’s backstory I feel like less happened in this issue than the others, but then again, there’s been an awful lot going on lately. This issue focuses a lot of backstory and the family issues that they’ve been dealing with. And to be fair, there are a lot of family issues here. This family is not what I’d call healthy or functional, with secrets, mistrust, and pent-up anger up the wazoo. So it only makes sense that all of that would take up its own issue. I will say that I was surprised by the sister’s backstory, and how she chose to handle things. I sincerely wasn’t expecting her history – nor her lack of plant augmentation (if that is the accurate term to use – it’s the best I can come up with here).